Road warriors are always looking for that trick, tip, or gadget to make their travels easier. The PlugBug is that new thing that makes life less complicated and lessen their load. 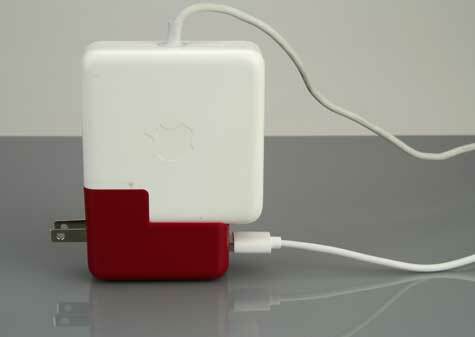 At first glance it looks like an oversized power adapter for an iPad painted red. The cool part is evident when you look a little closer and see that there is a cover that slips off and now the PlugBug can be slipped onto the power adapter for your MacBook. This provides a full power USB port to charge your iPad or iPhone at the same time as you MacBook. This may seem trivial at first but often the outlets in hotel rooms are few and the convenient ones are so worn that the power bricks will fail to stay seated. However, there is usually one that that works well but is in an inconvenient location and shared with a lamp or TV. 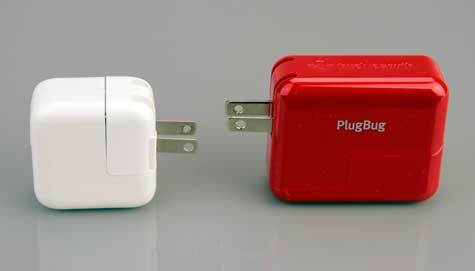 PlugBug can rescue you from the dilemma of having to decide what gets charged, the PowerBook or the phone. Sometimes the road warrior needs to travel fast and light. with only an iPad and an iPhone. The PlugBug works just as well connected to the power adapter for the iPad. This provides two full power USB charging ports with one plug. 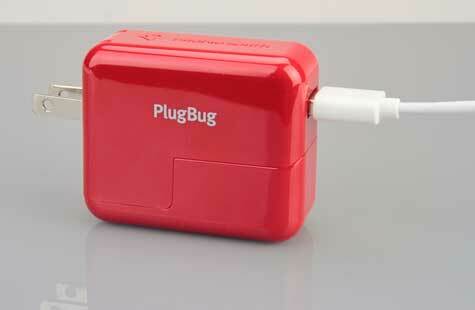 Some veteran travelers will decide to never leave home with out their PlugBug.